Bitcoin mining has become harder to turn a profit as scarcity and increased complexity to solve algorithms requires added skill, computing power, and electricity. As large companies steadily take over the cryptocurrency mining activity, enthusiasts get creative to reduce expenses to make it worth it. Alex Gilarde, a senior at Fairleigh Dickison University, started mining cryptocurrencies in 2012, when it was still relatively easy to profit from the activity. Bitcoin was cheaper than $5 when he and his friends decided to venture into mining. “When I started mining cryptocurrencies and going onward, I would do it in my parents’ house and in our own school actually after school. I would leave my laptop in different corners of the school”, Gilarde told CNBC, explaining his long-term perspective on the activity led him to spend $4,000 to $5,000 on hardware to build his mining rigs. His investment has paid off. The value of his mined Bitcoins has multiplied several times as the digital currency reached as high as $20,000. In the meantime, he runs three rigs in his dorm room 24/7, and another at his parents’ house which result in a couple hundred to a thousand dollars of returns every couple of months. Mining costs, however, have gone through the roof in recent years. GPU cards have seen their prices skyrocketing as growing demand wasn’t met by a proportionate increase in supply. The additional computing power required to mine bitcoin is also taking its toll on electricity costs. “It’s gotten pretty ludicrous now the amount of money you have to spend to get in”, Gilarde added. With Bitcoin standing at about half of the price of its record highs printed in December 2017, taking advantage of a somewhat vague University’s Acceptable Use Policy has been a strategic decision to cut costs. 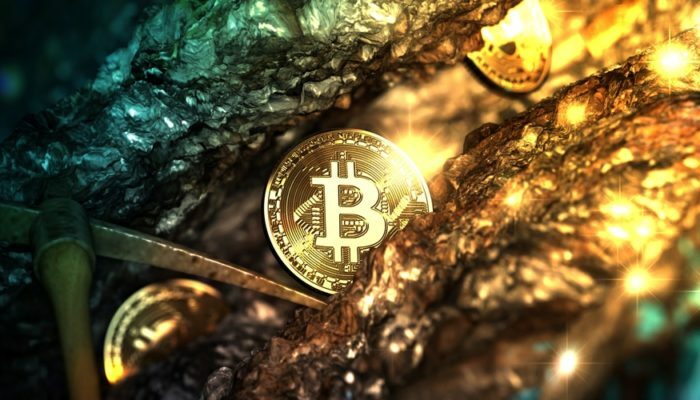 The campus’ policy “prohibits activity that incurs additional cost to the University” and “blocks the mining of cryptocurrency at the firewall level”, according to a spokesperson. There is, however, no specific language banning cryptocurrency mining under the current use policy. Gilarde makes use of the free electricity to run his three heat-generating mining rigs. He compensates with computer fans and by turning his dorm room AC on to keep the temperature down, which is an extra cost for the school and an added profit for the cryptocurrency miner. Besides monitoring the temperature, Gilarde has his graphics cards spread out so they don’t use too much power and monitors his energy usage with a cloud-based tracking system. Free electricity on campus may not be such a given in the near future as universities look to update their cryptocurrency mining policies.